Full disclaimer: it has taken me a long time to write this review because I had so many feelings about it. Seriously, I cried relentlessly for the last 150 pages but we’ll come back to that a little later. 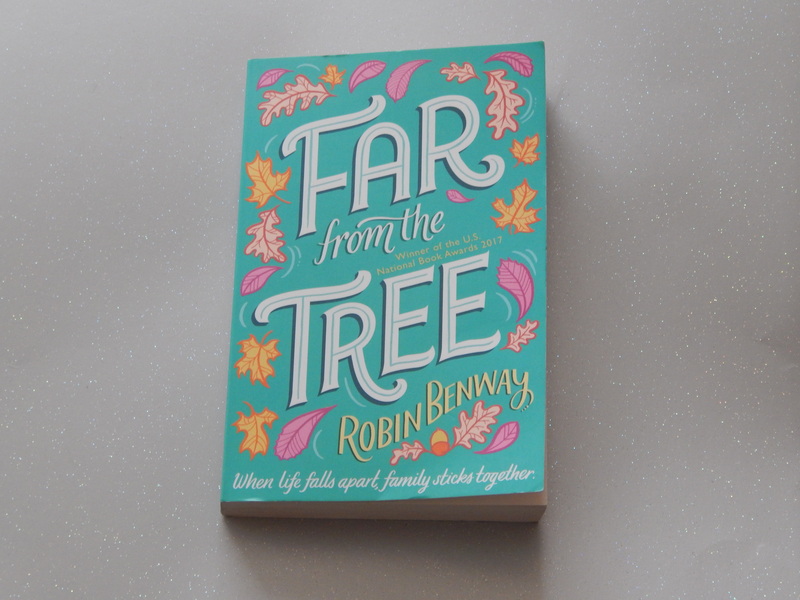 As some of you may remember, I received a copy of Robin Benway’s Far from the Tree in March’s Wildest Dreams Book Box. I was a little wary about it because it wasn’t the kind of book I probably would have picked up in a bookshop ( I predominantly read fantasy, dystopian and sci fi) but I’m so glad that I took a chance on it because I ended up loving it. I’ve been practically begging my friends to read it for weeks. Far from the Tree tells the story of three siblings, all of whom were given up for adoption and only discover one another as teenagers. Grace is the one that starts the search for her biological relatives after giving up her own baby for adoption. She soon meets Maya, who is struggling to keep up with the problems her adopted family are facing and Joaquin, who has spent the last seventeen years in foster care. Although very different, the siblings decide to invest some time in getting to know one another, which is both challenging and rewarding beyond anything they could have imagined. Watching these characters develop new relationships with one another, and try to balance that with the ones they already cherished, was a delight. I loved that things didn’t instantly click together for them but that we got to watch them try, mess things up, and try again. It felt so much more authentic. There was also a wonderful vulnerability to the way these teenagers had to come to terms with their definition of family changing that Benway explored with considerable skill. I was rooting for all three of her characters, especially in the middle and later chapters of Far from the Tree. They were all incredibly flawed characters, with a recognisable messiness. But they were also characters that I wanted to be happy, even if their definition of what that could be changed from page one to page three hundred and seventy four. Now, on to the tears. This book does not hold back on just how traumatic life can be, especially if you are care experienced as a child. It’s not some horror story but parts of it, especially those concerning Joaquin, just broke my heart. After everything these characters went through before they found their biological siblings, I wanted them to be happy. So much so that I sobbed for a very long time while I waited to see if this was going to happen for them. Zoe, who owns the Wildest Dreams Book Box, warned us that we would need tissues. I really should have listened to her. I had also only intended to read another chapter or two but as soon as I started crying, I knew I needed to finish the whole book. It was all consuming. This didn’t happen instantly for me – I enjoyed the first half of the book but it wasn’t until the middle when I became seriously invested in it and just had to finish it that day. It’s incredibly difficult to review this book without giving away spoilers so please go and read it so I can gush about how much I loved it in more detail, ok?